Jacob has decided not to eat meat, only seafood, vegetables and fruit. I love it as he’s opening his mind to trying new items that he’s never tried before. 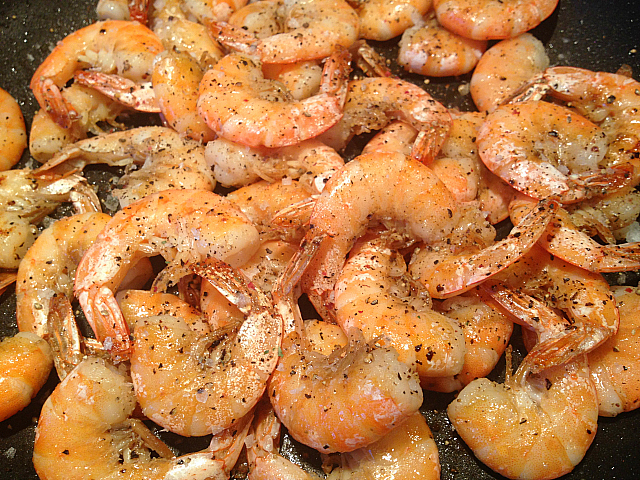 I have tried many different ways of preparing shrimp and found that the simplicity of just cooking the shrimp in a frying pan and adding simple ingredients like salt and pepper is one of our favorites. 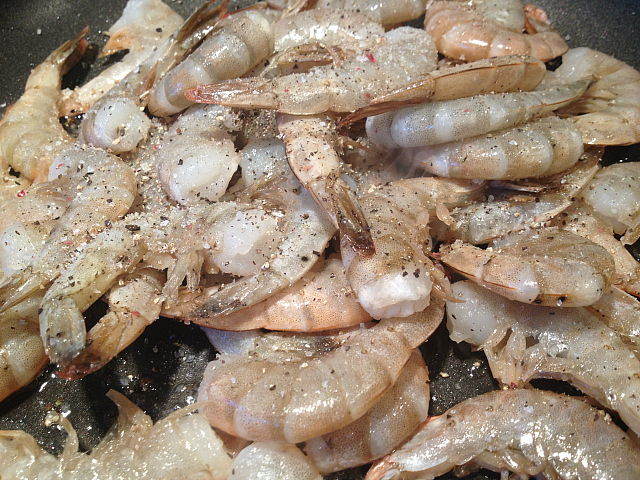 I added additional salt and pepper, this is when I used Maldon sea salt, see how all the shrimp are nice and pink? I platted them and put some lemon on the plate, remember this is like the appetizer shrimp you get at the restaurants, although I’m sure they use a little alcohol in their recipe as I usually add a little but I have found that I don’t miss it so I skip that step, unless I had company. 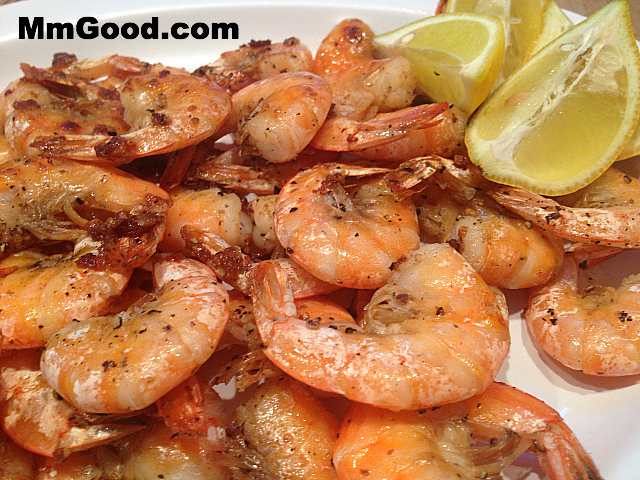 As you can see, it’s super easy to make shrimp in a pan, we like the salt and pepper flavor and we always leave the shells on for the added flavor and trust me we have tried it both ways and with the shells it makes a huge difference. 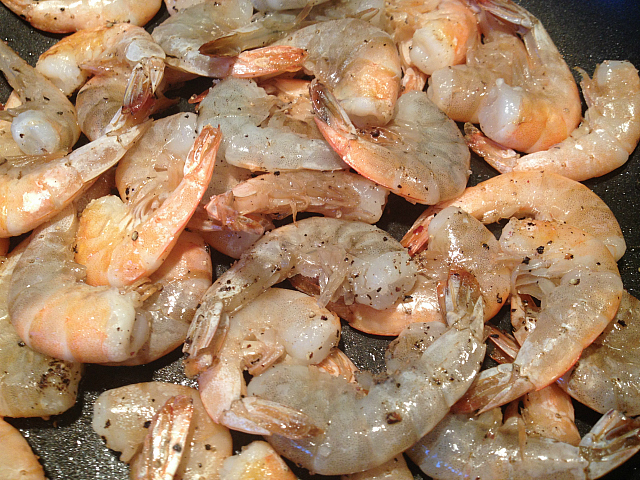 I usually devein my shrimp, which means I cut along the back of the shell and remove the black vein from the shrimp but today I didn’t see it as a problem, except for peeling the shrimp so I would always recommend deveining your shrimp. Put a frying pan on the stove top and heat up the oil. 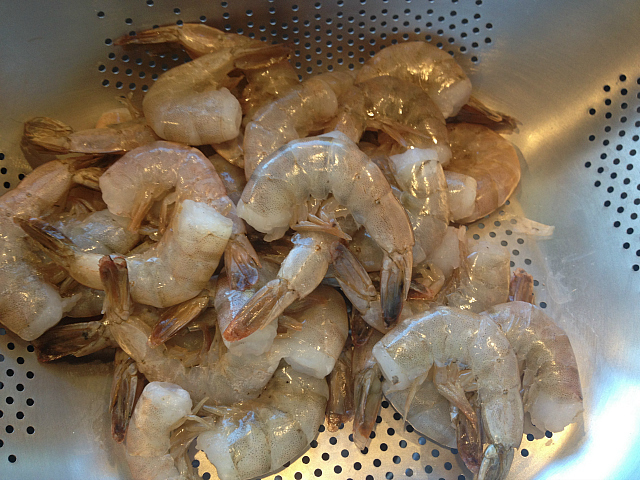 Add your shelled shrimp and season with the sea salt. Cover for about 3-4 minutes. 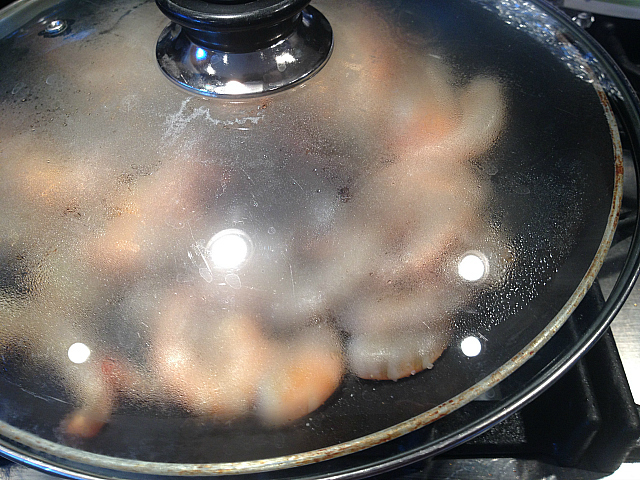 Remove the cover and toss, cover again to allow the shrimp to steam. Remove the cover and add more seasonings if desired. Can be served warm or cold...enjoy!